Advercoins is a site where you get paid for viewing ads and participating in surveys and other simple tasks. The ViewAds pays you in Btc and you can earn up to 0.00000119 BTC per click. WannAds Offer pays you in Adverpoint that is equal to 0.00000119 BTC. The big plus of Advercoins is that the advertisements are very short, 5 to 10 seconds. Payment: payment method is Bitcoin and payroll is 7 days after the request is made. Special terms: You may not register more than one account per person. Accounts that have been inactive for 90 days will have their account balance reset. Step One: on the sites home page click on one of the join buttons. Step Two: you will be redirected to the Create Account page. Fill in your details in the boxes and enter the captach. Letters are not case-sensitive. then click create account. Step Three: if your details were submitted correctly, a confirmation email will be sent to the email you have registered with, and you will see this screen. Step four: this is an example of the verification email sent to your email. Click on the link to confirm. Step five: after you have confirmed the link you will be redirected to this screen on Advercoins. you are free to login now or at a latter time. this is how the login screen looks. 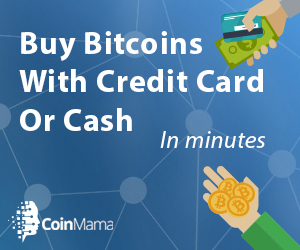 After completing the login click on “Earn Bitcoins” on the top menu and start making money.